Hawaiians are increasingly feeling the effects of diabetes. Today, approximately 142,000 people in Hawaii, or 12% of the adult population, have diabetes. The American Diabetes Association can provide resources for you and your family about all types of diabetes as well as information for caregivers and others affected indirectly by the disease. The American Diabetes Association's Hawaii office is committed to educating our communities about how to Stop Diabetes and supporting those living with the disease. There are currently no upcoming event(s). For additional information about any of our programs, please contact the American Diabetes Association Hawaii Office at 808-947-5979 – Neighbor islands may call toll-free at 888-DIABETES (888-342-2383) – or ADAHawaii@diabetes.org. Are you at risk for Prediabetes or Type 2 Diabetes? Take the Type 2 Diabetes Risk Test to find out. Adult Support Group Meetings are held on the 1st or 2nd Thursday of every month from 1-2:30 PM at Mountain-Pacific Quality Health. A volunteer from the medical community discusses a topic related to diabetes and is available to answer questions from the group. For questions, calendar of speakers and topics, and to RSVP, please call our office. Our Safe at School workflow contains information about 504 plans and diabetes care plans for keiki living with diabetes to receive the medical assistance they require to safely attend school. Additional school training is available through our Safe at School program. Our Courage-Wisdom-Hope Kit is a useful resource for children newly diagnosed with type 1 diabetes and their families. College and Beyond provides resources to ensure legal protections against discrimination continue beyond high school graduation. To enroll in a free program providing diabetes educational materials, tools, and support services by mail or email, download and complete the Living with Type 2 Diabetes Enrollment Form. Care4Life provides additional support utilizing text messages to your cell phone. Diabetes Food Hub is a digital cooking and recipe destination from the American Diabetes Association. Find inspiring stories, tips for diabetes management, delicious recipes, and Q&A with medical professionals through Diabetes Forecast. Your involvement as an American Diabetes Association volunteer—whether on a local or national level—will help improve lives of everyone impacted by diabetes, maybe even someone close to you. There are many ways for you to get involved—a little time can have a big impact. 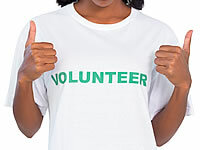 Contact your local office at 1-888-DIABETES (888-342-2383) or read about ways you can volunteer. Find local health provider experts who can help you with your diabetes care and coping skills.